I absolutely love a warm dip. My hubby has been watching so much football lately, I am not a huge fan of football but I am definitely a fan of the snacks. I made a delicious Ninja Foodi Hormel Chili Dip a couple of weeks ago and I have been dreaming of my next warm dip ever since. 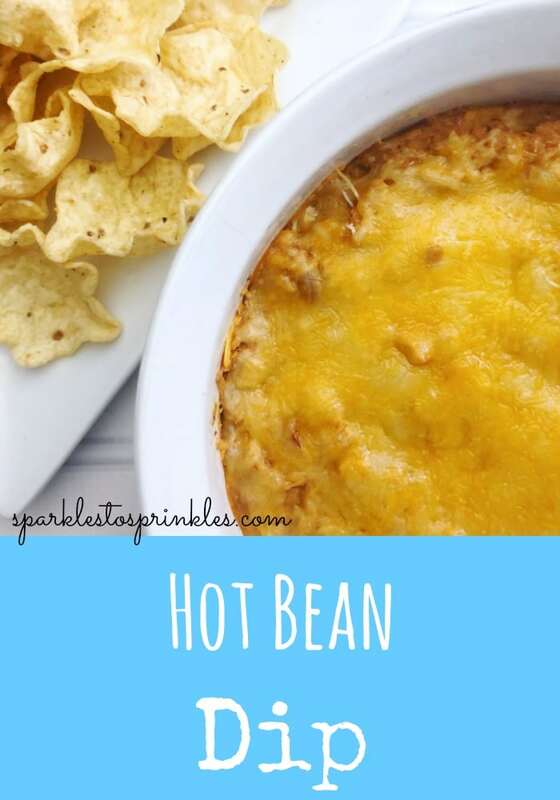 This Hot Bean Dip is so warm, with lots of flavor and hot melted cheese. I served it with scoops tortilla chips to make sure I got every bit of yumminess in each bite. Creamy cheesy hot bean dip will be your new favorite dip for all of your get parties.